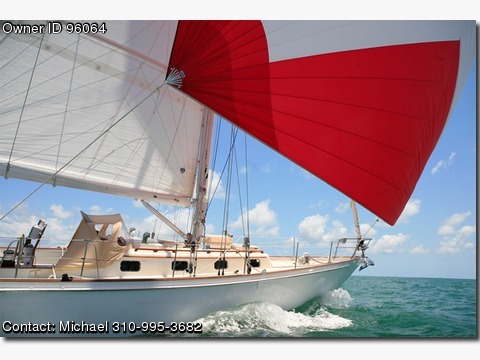 Call Boat Owner Michael 310-995-3682. this boat has a website Sailinglola.com Lola has recently gone through an 18 month total refit 2010-2012 Everything is New Originally built in Holland as Ariane in 1970 by Massdam-Dekker in Oud Beijerland, the steel hull was moved to Royal Huisman where she was completed. She began life as a successful Sparkman Stephens ocean racing design and was modified into a cruiser by Koopmans. Her racing lines and sail plan were left unchanged. Lola is a beautiful, fast, seaworthy, circumnavigating machine The Dutch are known for their steel boat building skills and the pedigree is clearly evident in Lola. Her design and build quality are rarely seen in vessels under 60ft No expense was spared in bringing her back to "New" condition from top to bottom Electronics, rigging, sails, mechanicals, electrical, and paint.